Brokers in Florida have been told they can’t count on their wholesale lender to do compliance for them. At the annual conference for the Florida Association of Mortgage Brokers this week, brokers and bankers took long training courses to learn the rules of compliance and get on track to stick to them. Valerie Saunders, president of FAMP, said that loan officers and brokers can no longer rely on their wholesale lender for compliance. Rather, in order to get ahead in the mortgage business, loan officers need to develop and live by their own compliance manuals. “The current regulatory environment is paving the way to make it easier for enforcement to pinpoint who should and should not have a license,” she said, in a compliance break-out session. “We are now in an era where policies are the core of examinations,” said Jonathan Foxx, head of Lenders and Brokers Compliance Group, during a FAMP luncheon Wednesday. He said we are no longer are we in a time where brokers are separate from quality control measures that were historically only meant for lenders. “If you can’t tell a regulator what and how you do things in less than two sentences, you are in trouble,” Foxx added. Foxx also emphasized that documenting all changes to policies and procedures and making sure everyone in the company is aware of them is the key to staying ahead. Leaving gaps between actual procedures and what is documented leaves companies more exposed to regulatory scrutiny. 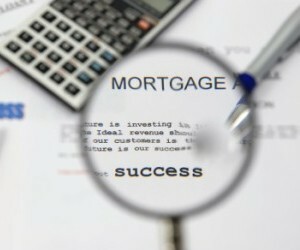 Valerie Stevens commented on Castle & Cooke Mortgage’s recent shake-down by the CFPB. She explained that the company’s allegedly illegal bonus compensation plan that paid employees bonuses based on higher interest rates was never documented. Only in employees paychecks was it apparent it was paying out bonuses.